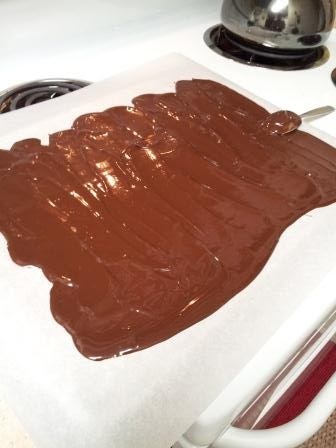 Melt the chocolate in the microwave, working in 30 seconds intervals, stirring after each cycle. When the chocolate has fully melted it should be smooth and pourable. 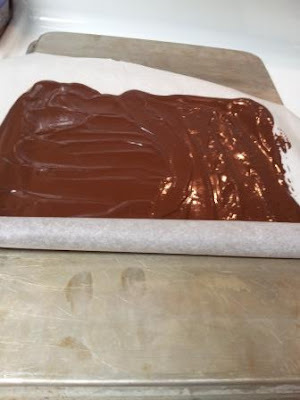 Spread the melted chocolate onto the parchment paper, leaving a one-inch margin on each side. 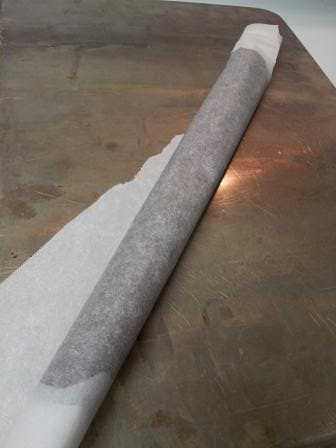 Then roll the chocolate covered parchment paper into a tight roll. Place in the freezer until rock hard. 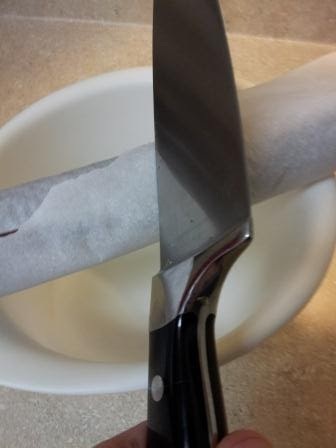 Using the back of a heavy kitchen knife, lightly tap the outside of the roll (make sure to work over a bowl). Shake the broken pieces from the paper, and use to enhance almost any dessert!